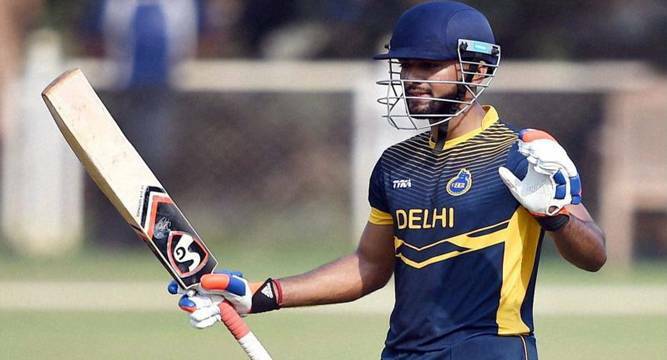 Skipper Unmukt Chand anchored the chase to perfection with an unbeaten 77 to guide India B to a five-wicket victory against India A in the opening match of the Deodhar Trophy one-day cricket tournament. Put into bat, India A could manage only 161 in 44.2 overs with skipper Ambati Rayudu (58) and all-rounder Parvez Rasool (66) adding 104 runs for the sixth wicket after they were reeling at 29 for five. 56 for the opening stand with Shreyas Iyer (24) and 75 for the fifth wicket with veteran Dinesh Karthik (34). In the morning, Unmukt won an important toss as India A batsmen were all at sea on Green Park track that offered some help to the seam bowlers. India discard Dhawal Kulkarni (2-9 in 7 overs) and young Rajasthan pacer Nathu Singh (3-23) polished off the top-order with Test specialists Murali Vijay (0) failing to score off 22 deliveries. He was dismissed by Kulkarni. From the other end, Nathu bowled three in-swingers that breached through defences of Jalaj Saxena (4), Mandeep Singh (0) and Kedar Jadhav (0). While the first five wickets fell for 29 runs, the bottom five fell for 28 runs after the century partnership. Save Rayudu and Rasool, none of the other players in the India A side reached double figures. After the pacers demolished the top-order, the lower half was taken care of by left-arm spinner Pawan Negi (3-50 in 10 overs) and Stuart Binny (2-39 in 9.2 overs). Brief Scores: India A 161 in 44.2 overs (Parvez Rasool 66, Ambati Rayudu 58; Nathu Singh 3-23, Pawan Negi 3-50, Dhawal Kulkarni 2-9, Stuart Binny 2-39). India B 162 in 29.2 overs (Unmukt Chand 77 no, Dinesh Karthik 34; Amit Mishra 3-62). Points: India A 0; India B 4.